Last year, burglaries were commonplace. That’s why it’s essential to secure your home and protect your family against break-ins. For a more secure home, read these common myths brought to you by Liberty Insurance Ireland about burglaries and get the facts to protect your home. Myth: You don’t need a home alarm system if you live in a safe area with a low crime rate. Fact: Even if you live in a relatively safe neighbourhood, homes without security systems are more likely to be broken into. In an article with The Irish Times, a police spokesperson warned that homeowners need to be vigilant no matter where they live. Myth: Burglars break in through discreet areas, like the back of the house. Fact: Securing the back of your house is important, as first floor windows and the back door are among the top targets for burglars. But surprisingly, another common point of entry for home burglaries happens to be through the front door. Police analysis of reported crimes last year indicated that 28 per cent of burglars gained access through a rear window while 27 per cent went through the front door and 25 broke in through a back door. Install deadbolts on the front door and any exterior doors, as they are harder to pick. 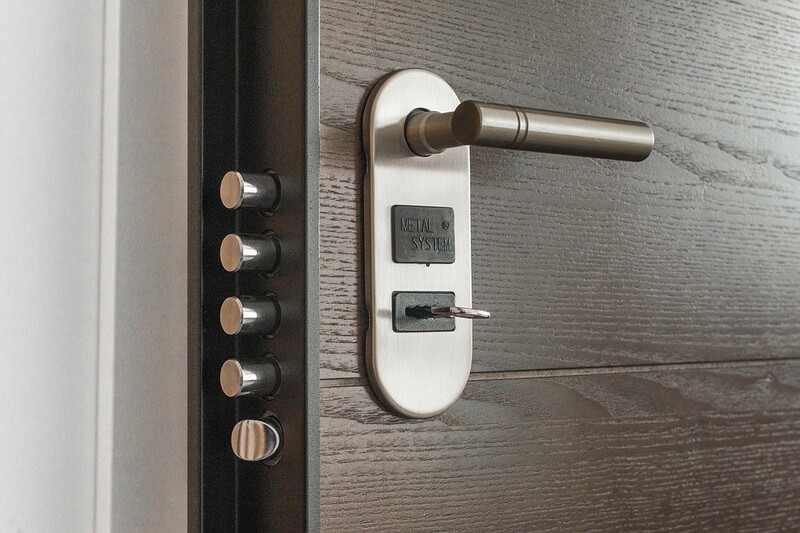 Put strong locks on glass doors and lock-up whenever you leave the house. Myth: Most burglaries happen at night. Fact: Most burglaries actually occur during the day while homeowners are away from the house. Burglaries can occur at any time throughout the day with over 30 per cent taking place between 5pm and 8pm and 15 per cent occurring overnight. Locking doors before you go to bed may be a common practice, but ensure your home is also secure during daylight hours too. Myth: If you’re running out for a few minutes, it’s okay to leave your door unlocked – no burglar could get in and out that fast. Fact: Burglars are faster than you think. The average burglar spends only a few minutes in your home. So, lock the door no matter how soon you’re planning to be back. Burglars can also work fast because they know common hiding places – the key under the doormat, the jewellery in the master bedroom. Leave your spare key with a neighbour and consider putting valuables in a safe. If you have Home Insurance with Liberty Insurance you automatically have Home Emergency Assistance which covers emergency repairs to safe guard your home.